Celebrating the success and leadership of our youth! Cristal Salcido attended La Quinta High School (LQHS) and was a part of the school's Medical Health Academy. Upon graduating from high school, she received several scholarships, including one from the Medical Health Academy at LQHS and OneFuture Coachella Valley. Cristal attended College of the Desert and received an associate's degree in biology. She went on to intern with OneFuture and received her bachelor's degree in Chicano Studies from the University of California, Riverside. She then returned to the Coachella Valley to provide program support for the Riverside County Latino Commission on Alcohol and Drug Abuse Services, and to facilitate the commission's Strengthening Families Program. She plans to earn her master's degree in public health and administration and attend medical school to become a family physician. Her goal is to improve health outcomes for underserved families in the eastern Coachella Valley. Meet Sara Kamoei, a four-year OneFuture Coachella Valley (OFCV) scholarship recipient who, along with her sisters Bahareh and Bita Kamoei, is making a difference in the Coachella Valley, one high school scholarship recipient at a time. Sara fondly remembers the day she received news of the scholarship and appreciated the whole new support system that acted as a second family–always answering any questions and reaching out to make sure she was doing well. 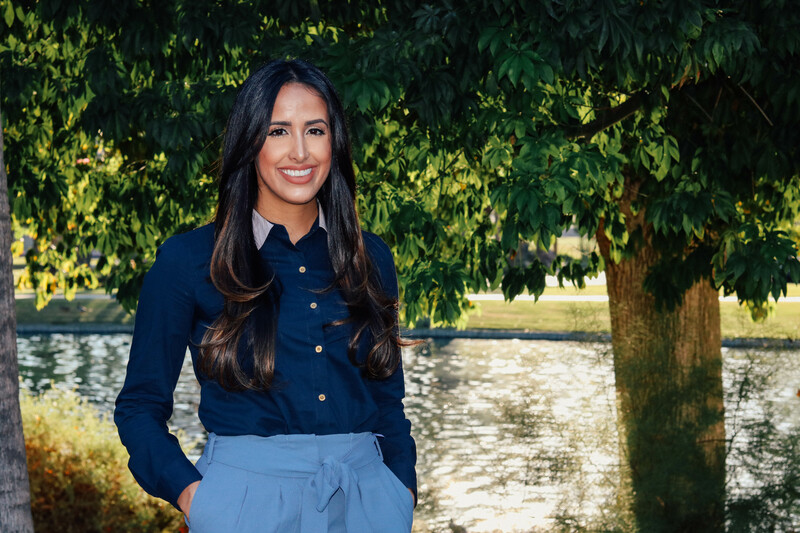 Sara, Bahareh and Bita are all graduates from Coachella Valley High School (CVHS) and make up the successful team behind BBS Brokers Realty, a family-owned real estate agency in Palm Desert. Currently, BBS Brokers Realty is hard at work, fundraising for next year's scholarship recipients. Their goal is to continue to raise scholarships in an effort to reach even more deserving students, OFCV has partnered with BBS Brokers Realty and is proud to match all funds raised to help support CVHS students. I am chose to give because organizations like One Future Coachella Valley made possible for me to receive an education. Ernie Rios is a god! You guys are amazing. The Alumni of OFCV will make an impact. Let's keep our program moving forward. It's a privilege to support the many young leaders of OneFuture Coachella Valley! The least I can do for an organization that has given me so much. Thank you for all you do OFCV! I am thankful for the support I received through OneFuture CV to be able to earn my college degree!